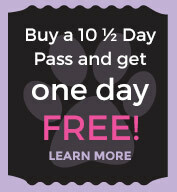 Stay 3 nights get the 4th night free (any 4 consecutive nights) *Must tell staff at check-in. Refer a friend to Paws Chateau™ and we’ll give you 1 free day of Day Camp. 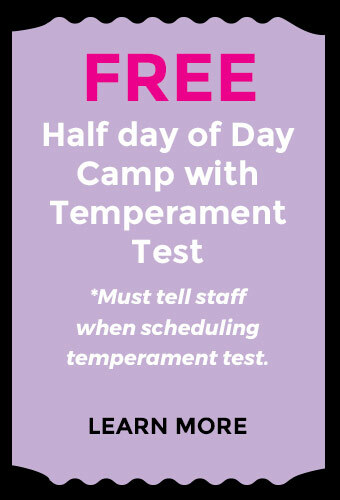 When your friend comes to day camp to redeem their 1st day free (temperament test), you will receive a free day of camp, as our way of saying “Thanks” for the referral! Error: Error validating access token: Session has expired on Monday, 25-Mar-19 15:37:59 PDT. The current time is Monday, 15-Apr-19 12:34:42 PDT.